The Santa Barbara International Film Festival, presented by lynda.com, is proud to present Academy Award� nominated actress Jennifer Lawrence with the Outstanding Performer of the Year Award on Friday, February 2. She will be honored with a Tribute celebrating her compelling performances in The Hunger Games and Silver Linings Playbook at the 28th edition of the Festival which runs January 24 - February 3, 2013, it was announced today by SBIFF Executive Director Roger Durling. Lawrence will be honored for her diverse performances in film this year. In both The Hunger Games and Silver Linings Playbook she presents two vastly different and complex characters. In The Hunger Games, Lawrence stars as the courageous and fierce, Katniss Everdeen, striving to survive. Starring alongside Bradley Cooper in Silver Linings Playbook, directed by David O. Russell, Lawrence plays the vulnerable and complex Tiffany, the mysterious and disturbed neighbor to Pat Solantano (Cooper). Pat lost everything and is trying to get his life back together, when he meets Tiffany who has problems of her own. Through an unlikely friendship comes a strong bond between them and silver linings begin to appear in both their lives. Silver Linings Playbook is a heartfelt dramatic comedy about the everyday struggles as well as the triumphs of ordinary people. This film allows audiences to see a dark, comedic, and more vulnerable side of Lawrence that is quite remarkable. As an Academy Award nominated actress, Jennifer Lawrence is one of Hollywood�s most talented young actors having appeared in a number of critically acclaimed roles and working with some of the industry�s most respected filmmakers. For her 2010 performance in the gritty independent, Winter�s Bone, her memorable portrayal of �Ree Dolly� garnered her Golden Globe�, Screen Actors Guild, and Academy Award� nominations for Best Performance by a Leading Actress. Lawrence is currently in production The Hunger Games upcoming sequel Catching Fire, reprising her role as �Katniss Everdeen.� She recently completed production starring in the title role on Susanne Bier�s, Serena, set in the depression-era. Previous credits include Matthew Vaughn�s X-Men: First Class; Jodie Foster�s The Beaver; Drake Doremus�s Like Crazy; Lori Petty�s The Poker House, for which she was awarded the prize of Outstanding Performance in the Narrative Competition at the 2008 Los Angeles Film Festival; and Guillermo Arriaga�s The Burning Plain, where she won the Marcello Mastroianni Award for Best Young Actor at the 65th Venice Film Festival. Lawrence will join an illustrious group of previous Outstanding Performer Award recipients, including: Viola Davis (2012), James Franco (2011), Colin Firth (2010), Penelope Cruz (2009), Angelina Jolie (2008), Helen Mirren (2007), Heath Ledger (2006), Kate Winslet (2005) and Charlize Theron (2004). The festivities will take place at the historic Arlington Theatre on Saturday, February 2, 2013. Tickets for the Outstanding Performer of the Year are available now and can be purchased through www.sbfilmfestival.org or by calling 805-963-0023. Festival Passes, Packages and Mini-Paks are also available exclusively at www.sbfilmfestival.org and 805-963-0023. Kids don't always have to wait til they are sixteen to get involved with car maintenance. How can parents and kids work together to learn the safest choices when it comes to car care? How can parents best teach kids about car care? 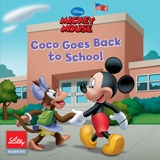 What can young children to do help with and learn about car care? How can parents best choose the right car for their teenager? How can kids learn to properly handle the maintenance on their new vehicle? What is the most important thing to teach children about car care? Has been an ASE-Certified Technician (Automotive Service Excellent), since 1995. She has repaired tens of thousands of vehicles ever since. Fourth generation automotive technician: Her great-grandfather Leonard Smith, grandfather, Ralph Smith and father Jerry Oakes were all automotive technicians. Pam's dad has more than 45years as a tech; worked with Pam from 1996 to 2004. She started Pam's Motor City Automotive in 1995. Pam was the sole employee - which grew into what it is today a 12-bay shop with 10 employees. Pam's Motor City Automotive has won numerous awards throughout the years - local, regional, and national. 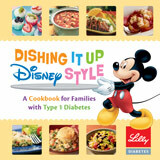 Lilly Diabetes and Disney collaborate to create family resources for families dealing with type 1 diabetes. Approximately 10% of thos with type 1 diabetes also have celiac disease and the cookbook includes gluten-free recipes or notes on how to prepare the recipes gluten-free. These books which address information for children of variious ages and stages of life with type 1 diabetes are available free through pediatric endocrinologiost offices.